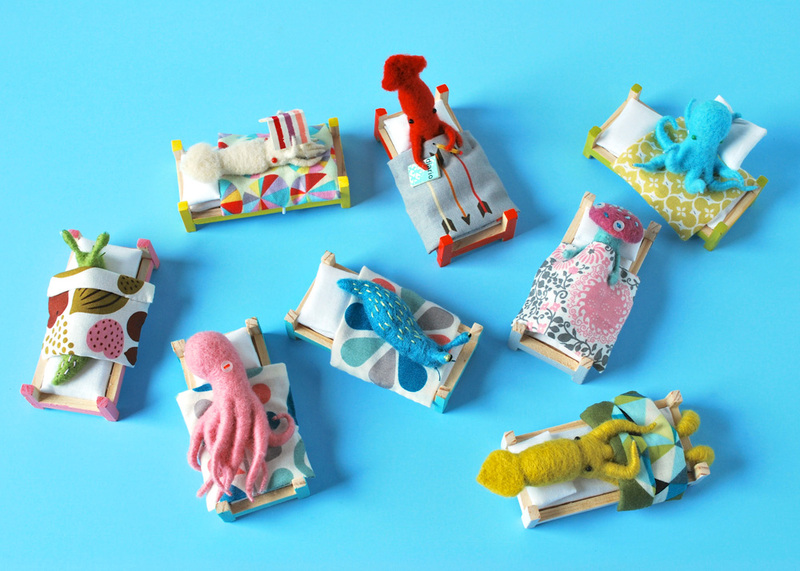 This series of felt puppet inverts all nestled in bed was created by famed puppeteer Hiné Mizushima and went on display recently in Baltimore’s EMP Collective. Unlike many other reef art things that we feature here, this is one you can actually buy, as Hiné has a cool Etsy shop featuring her work. The creatures are all over the place, including our non-reef favorite, the sleeping paramecium (which is a pretty fashionable brooch for your lab type friends). Each item is obviously handcrafted but when you look at each of the up close you can tell that they have a detail imbued and are sure to make the spineless love in your life light up with excitement! Captive Bred Bandensis Cuttles Now Available!